Welcome to our website. We hope not only professionals and those involved in this sphere will benefit from the information it features. 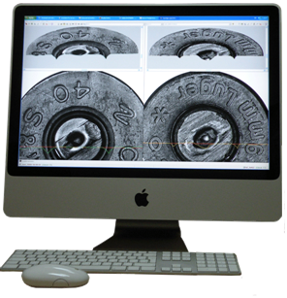 Being among the most formalized aspects of forensic expertise, ballistic identification expertise is quite intricate and requires of an expert not only extensive knowledge, but also broad experience. Due to a number of natural causes, like a great amount of relatively similar objects, the necessity of the ballistic expertise automation came to be evident, while the development of computer technologies in the early 90-ies made it possible. 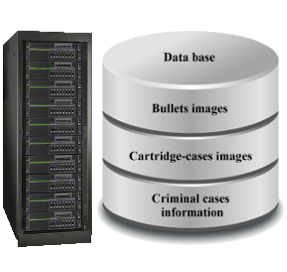 During the many years of the Automated Ballistic Identification systems project development we have analyzed thousands and thousands of ballistic expertise specimens. We have learned to quickly and efficiently turn real specimens into digital “virtual” ones. We have “taught” them to find each other among masses of those alike. We have accumulated a huge experience and will be glad to share it with you. SAS is aimed at operating BIS EVOFINDER®, performing an automatic identification of the object under examination against objects in the DB and storing high-quality digital images with corresponding information. DAS is aimed at digitally objects surfaces recording – “virtual” objects creating – and saving them into the DB. 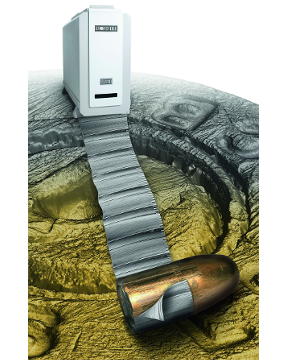 EWS is aimed at ballistic expertise performing – onscreen identification – as well as sending a request to SAS for automatic correlation procedure start. EWS provides with hit-list of objects previously saved in the DB and similar to the object under examination. We have unique more than 20 year experience in creating an effective tool for ballistic expertise – from initial idea to operating units. 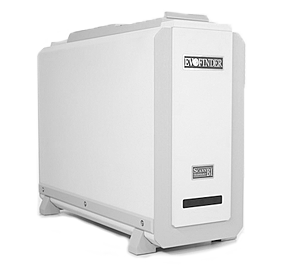 The company provides different possibilities of the Evofinder® system high quality maintenance – from preventive visiting of the company’s specialists (obligatory during warranty period) till remote support via Internet connection.